Oh Oh! 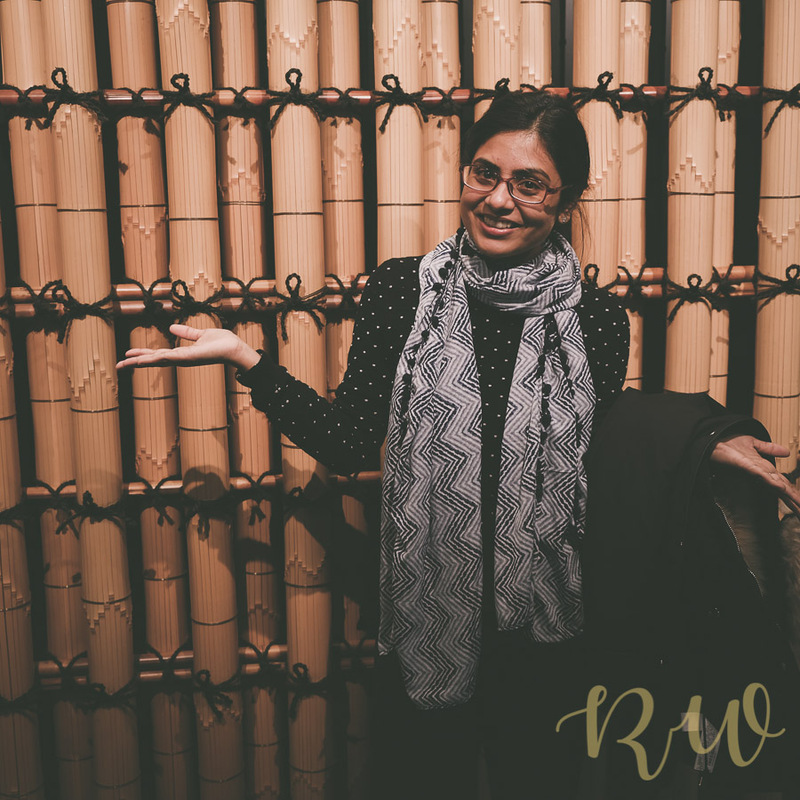 I have really become irregular with blogging – to the point that I maybe losing the habit! But these last two months I have been busy being pampered by my parents who are visiting me after a very long time and with a vacation in Japan for all of us in between. 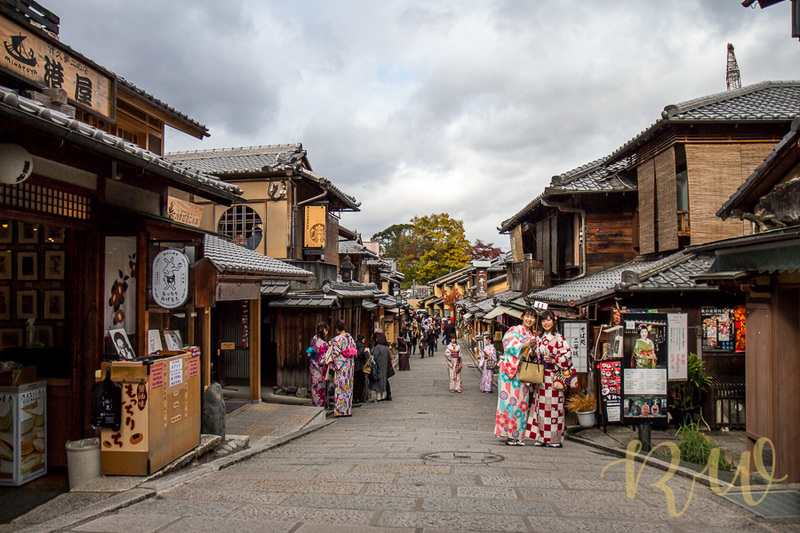 This post is about our Japan holiday. 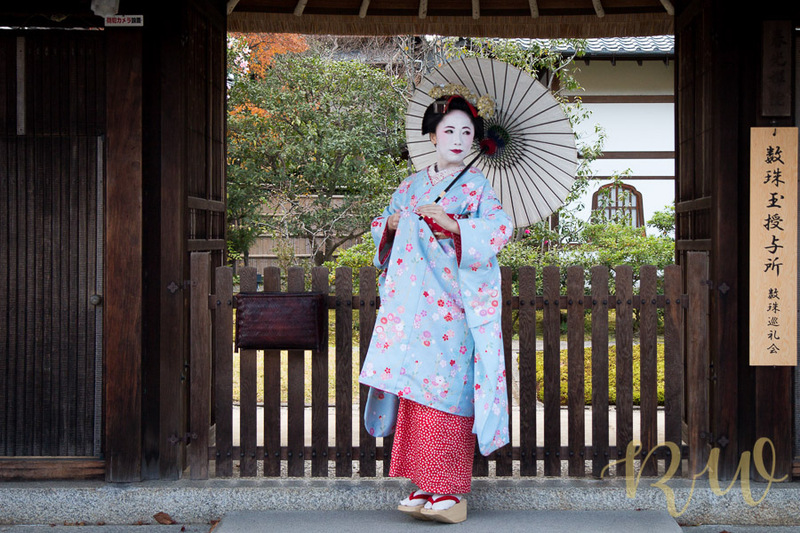 We had been to Japan a few years back but that was in the middle of summer – a topic for a separate post. I had always wanted to go for the Sakura season but that has not happened yet. 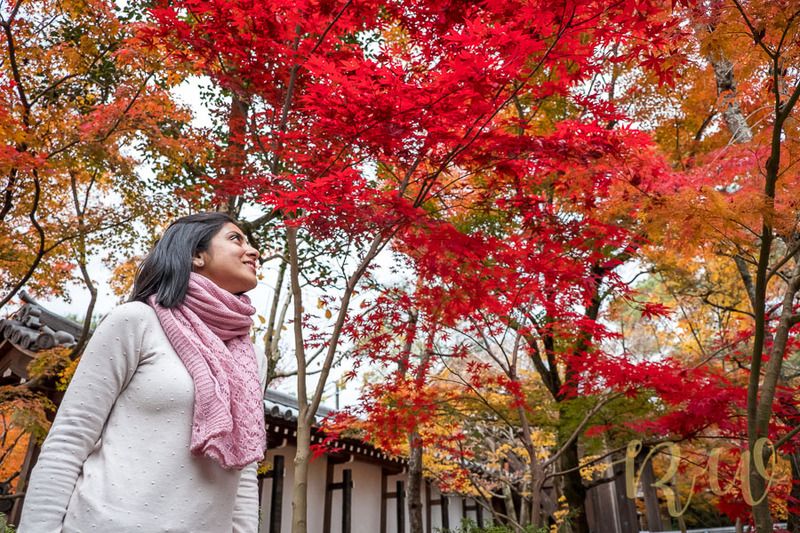 So this time around when deciding where to go with my parents, we chose the second best thing – the autumn season in Japan. It took us 8.5 hours to reach Tokyo Narita from Singapore on Scoot with a 1 hour stop in Taipei. Day 1 wasn’t a good day for us. 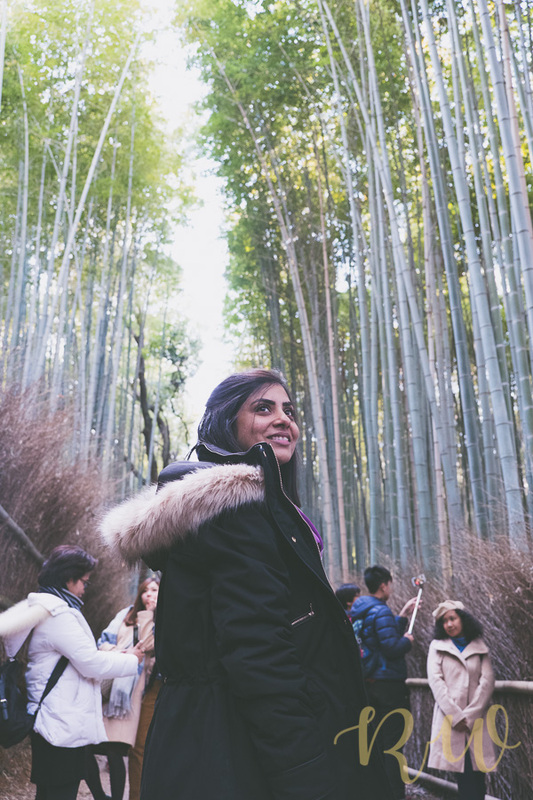 The fear of flying took hold of me firmly with this flight – during descent into Tokyo, we went through some bad turbulence and could feel it inside even in a B787 Dreamliner. There was a free fall causing loose items to fly about, we could see the wings shaking like they will come off, etc. It felt like an eternity to me and I was soooo relieved when we touched down! Then the airline lost one of the two strollers and said they will send it to our hotel in 3-4 days! We were very tired for the day. We stayed in a hotel in Akasaka; checked in and then went for a late lunch / early dinner nearby at around 4pm. Almost all the places had closed for lunch and had not opened for dinner. Most places were two small for the 4 of us and 2 kids and one stroller. So we found an empty restaurant serving fried rice – it was a Korean place with nothing written in English, not even the prices. Without checking portion sizes or the prices we ordered 5-6 dishes and the bill was a whopping USD 150! Disappointed that we had been fleeced in the middle of Tokyo, we retired into the hotel for much required sleep. Thankfully Lady Luck made up for all that the next days with gorgeous weather – low teens temperature with sunshine – perfect for roaming around. 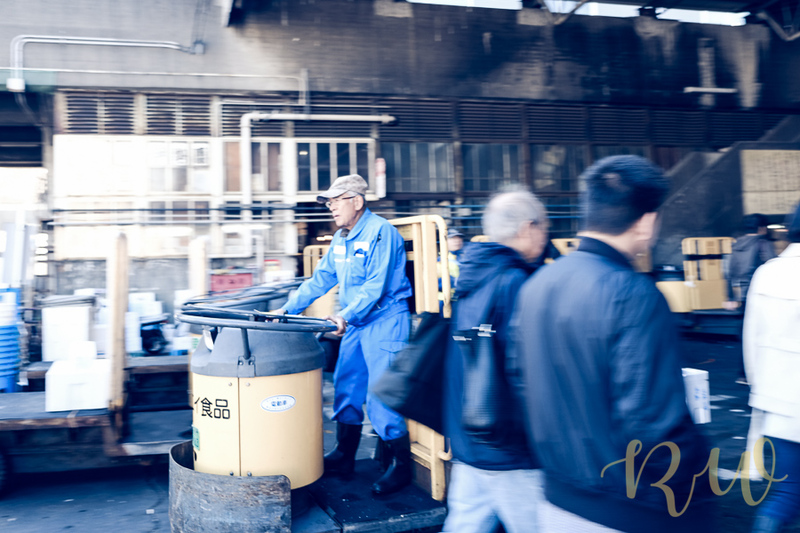 We started off with Tsujiki Fish Market. 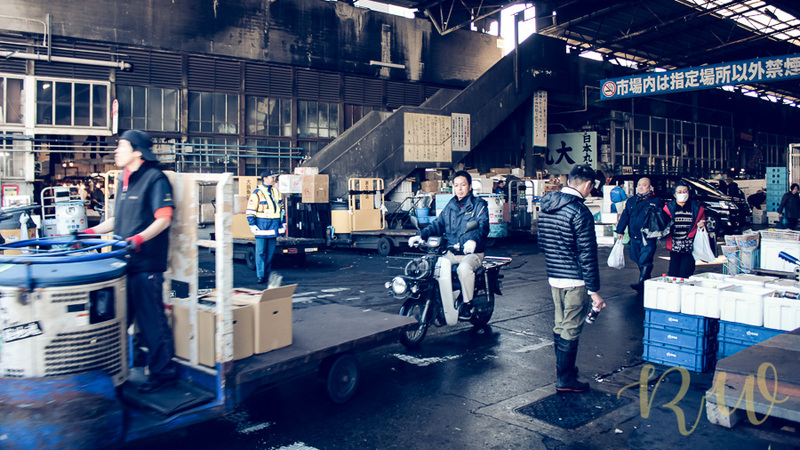 We didn’t know that photos were not allowed within the main wholesale market even though the morning auction had long been over. Neither were strollers allowed because of 3 wheeled carts like these. We went to Shibuya scramble crossing next. My husband went off to get a stroller at this point because it’s impossible to walk around carrying a toddler in the arms. And did I mention that there are only 1 or 2 stores in all of Tokyo which sell strollers! Same for diapers even though Mamy Poko is a Japanese brand! 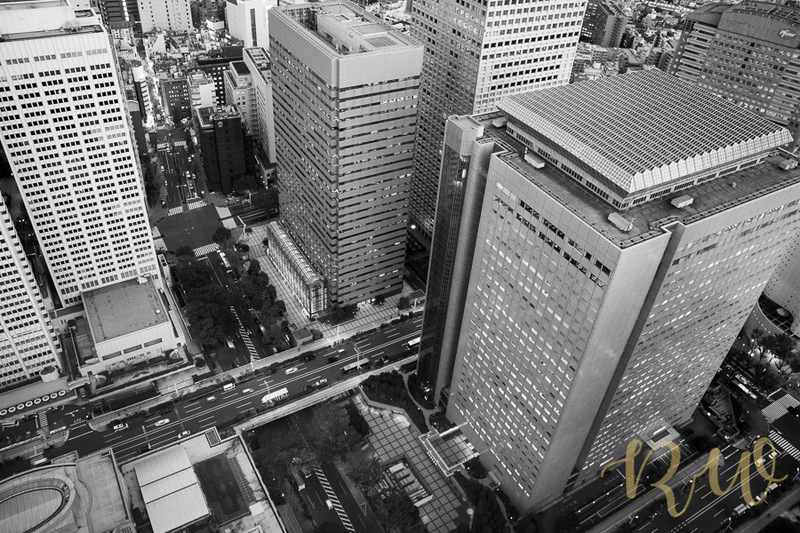 As mentioned in the Lonely Planet guide, we bought a cookie at the Starbucks store (right next to the Tsutaya book store) and went to Level 2 for photos. It turned out to be bad advice because it’s too close and we couldn’t cover the full crossing with our 18-55m 1.6x crop lens. The kids did enjoy the cookie! 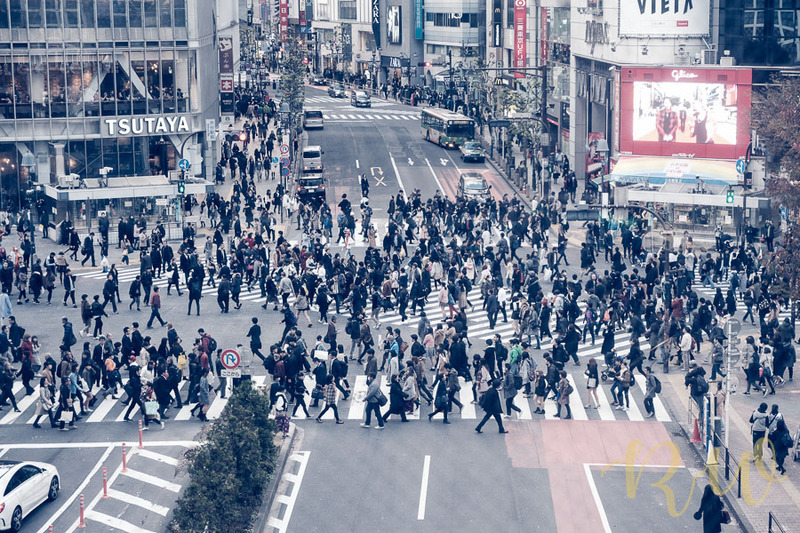 We discovered a better photo spot on Level 2 of the Shibuya station which is more or less opposite the Starbucks, and from there a wider view of the crossing is available. 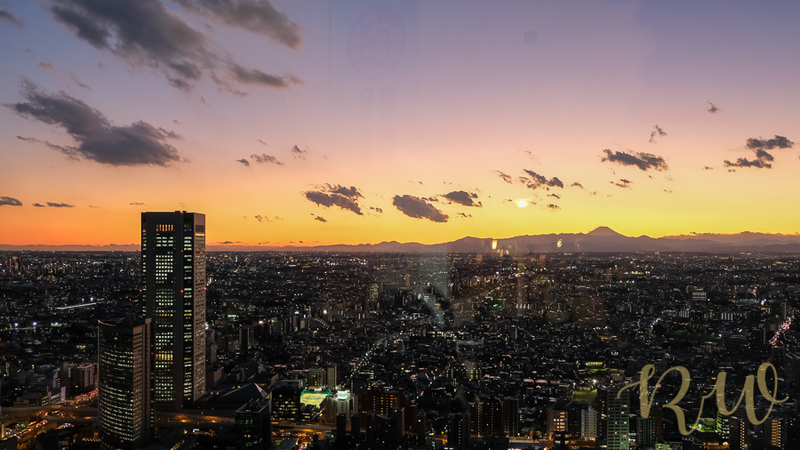 We ended the day with great panoramic views of the sprawling metropolis from the 45th floor of the Tokyo Metropolitan Government Building. Best bit was that it is free! We spent the late morning in Yoyogi park, next to Meiji-jingu shrine. 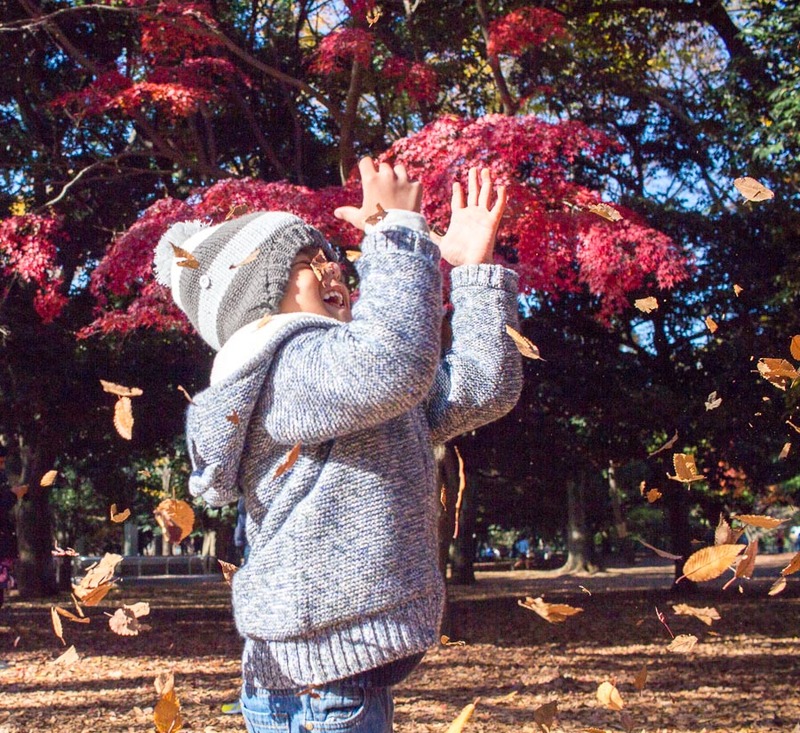 The boys and me had a lot of fun playing around with the dried leaves. Keeping this day focused on kids activities, we took them to the National Museum of Emerging Science and Innovation in Odaiba. They were so excited to see a live demo of Asimo the robot – especially when he kicked a football and jumped about on one foot! We travelled from Tokyo to Fujisan by trains – a limited express train from Shinjuku and then a change at Otsuki. It’s a lovely place to the north of Mt. 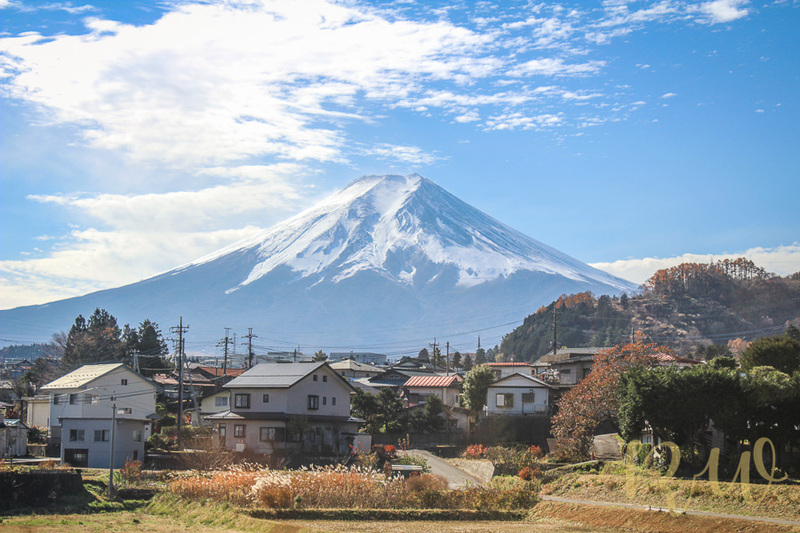 Fuji – we were super lucky to get clear views of the elusive mountain. 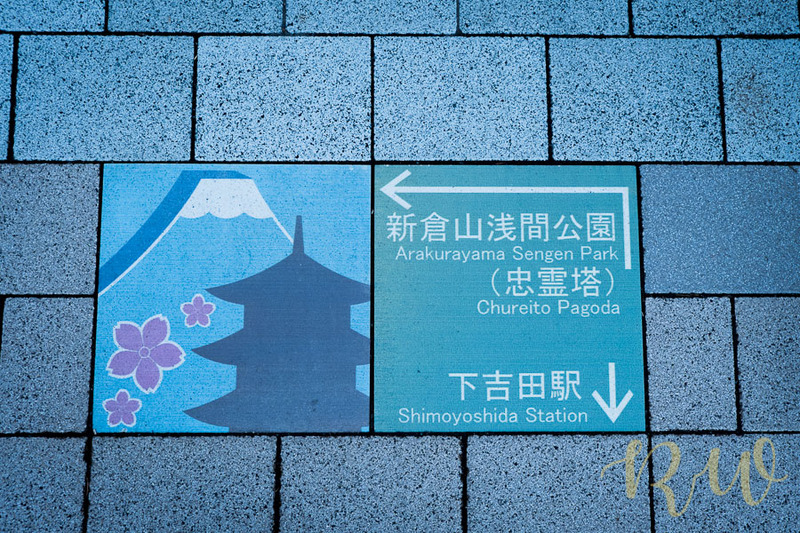 So we quickly took a train to Shimoyoshida and then followed these cute signs on the road itself which ensure that tourists don’t get lost for want of directions. These led to a flight of 400 stairs that led up to the Chureito Pagoda to get some stereotypical views! Although there was a sloping road all the way up to the pagoda, we kept our kids with my parents to wait at the station. The next day we took a train to Kawaguchiko which is one of the Five Lakes. We did a ropeway ride to the top of a hill – unfortunately it was cloudy and no views of Mt. Fuji. 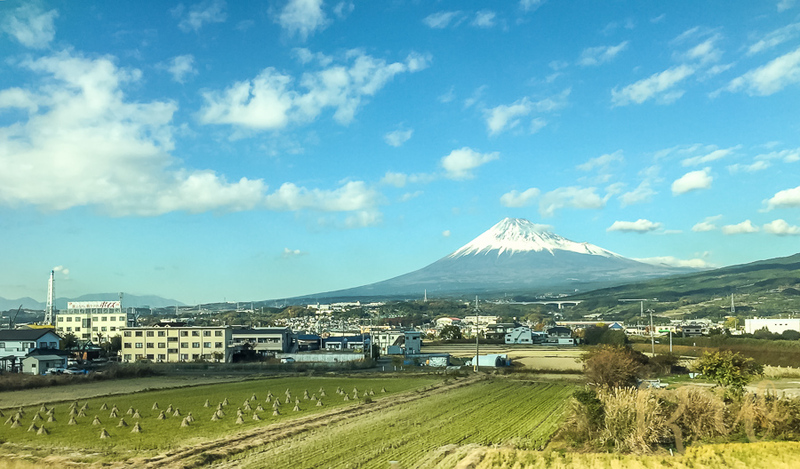 To get to Kyoto, we took a bus from Kawaguchiko to Mishima and then the bullet train (shinkansen) to Kyoto – again lucky to get this spectacular view of Mt. Fuji. 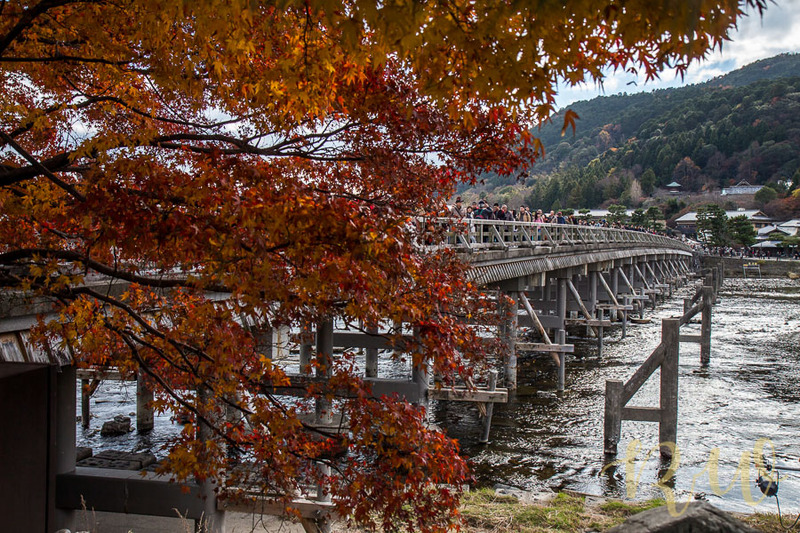 The colours of autumn were in full bloom in Kyoto – more than the other two places. 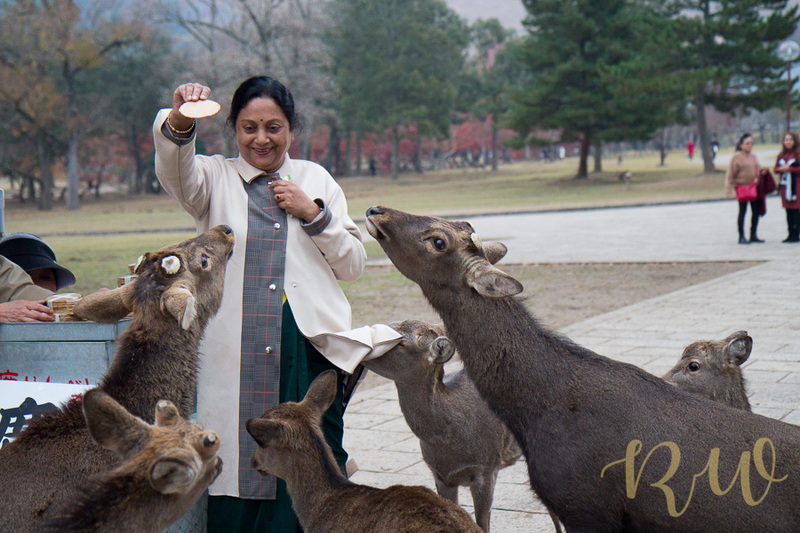 We visited Nara Park the first day, where innumerable deer roam about freely and we fed them with special crackers that were being sold at JPY 150 per packet. 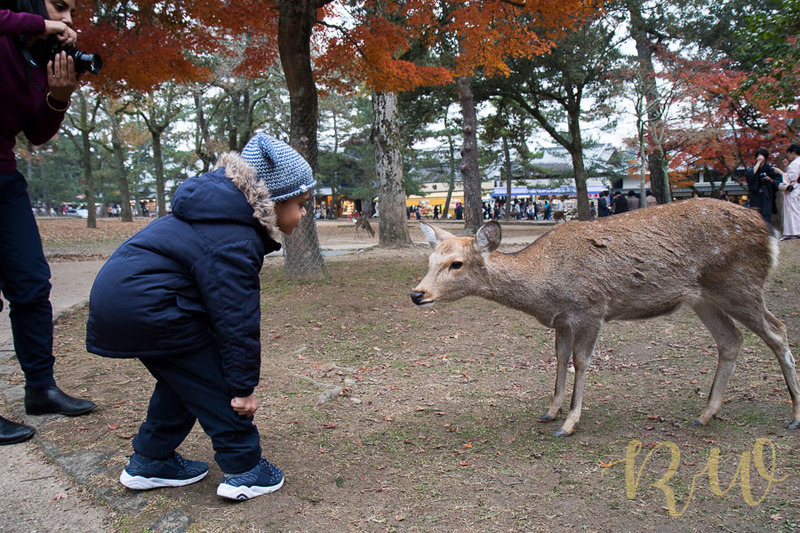 These deer are used to people and supposedly bow to tourists – my elder boy was checking whether that was true!! 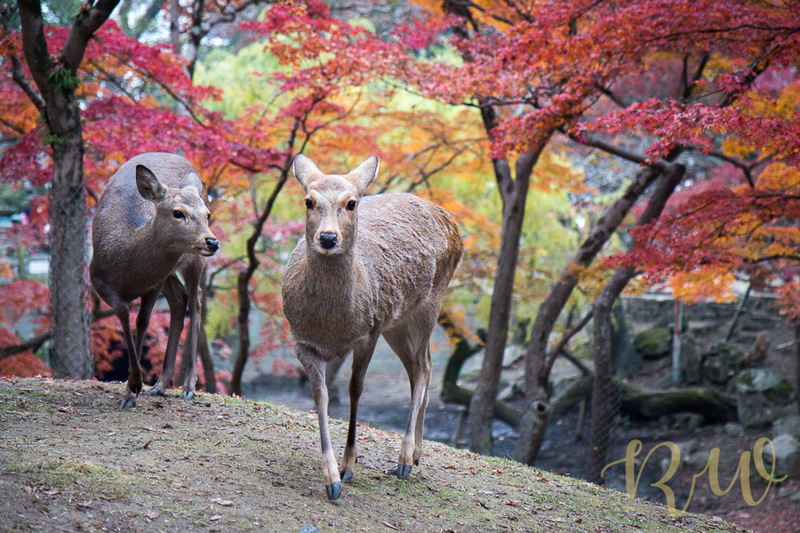 The deer do swarm around tugging at clothes when they sense people are about to feed them! 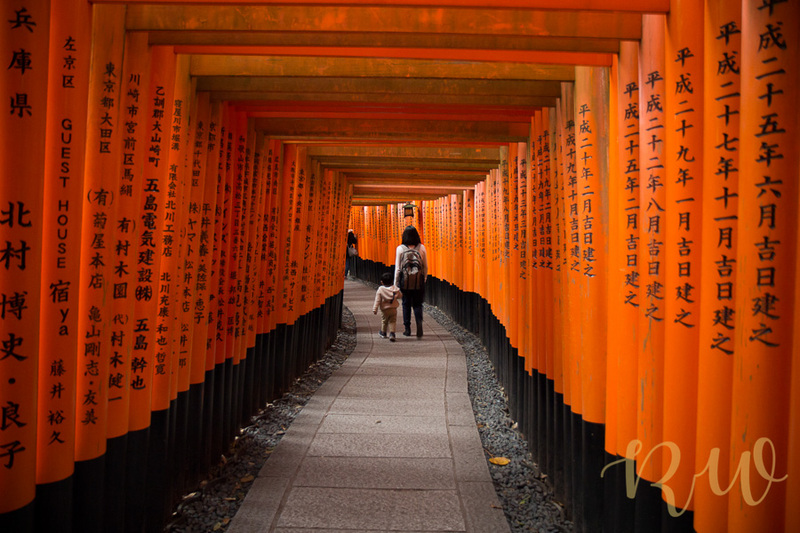 On the rest of the days, we visited Fushimi Inari shrine with its lovely rows of torii gates stacked closely together – there are more than 1000 of these! 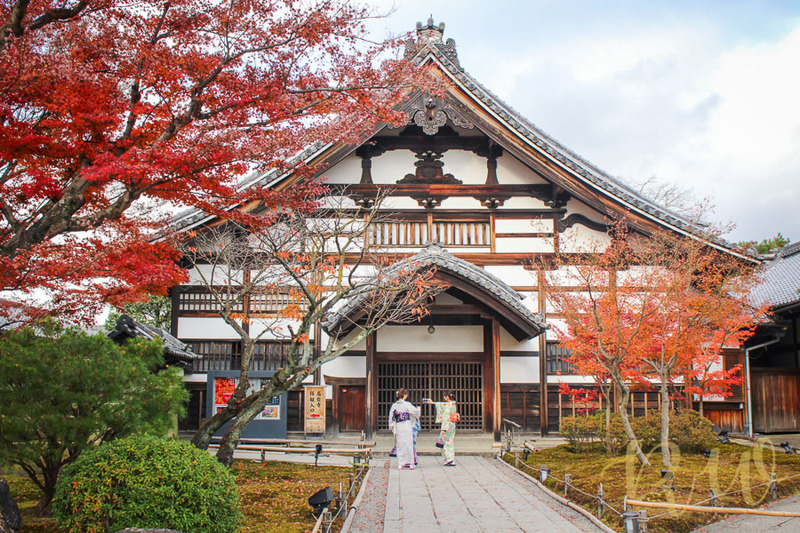 …Eikan do temple where the maple leaves had painted everything red! Travelling in Tokyo metro or Kyoto public buses with strollers presented no problems at all. In Kyoto there is a 1 day unlimited bus ticket available in 7-11 and some stations which is very useful. 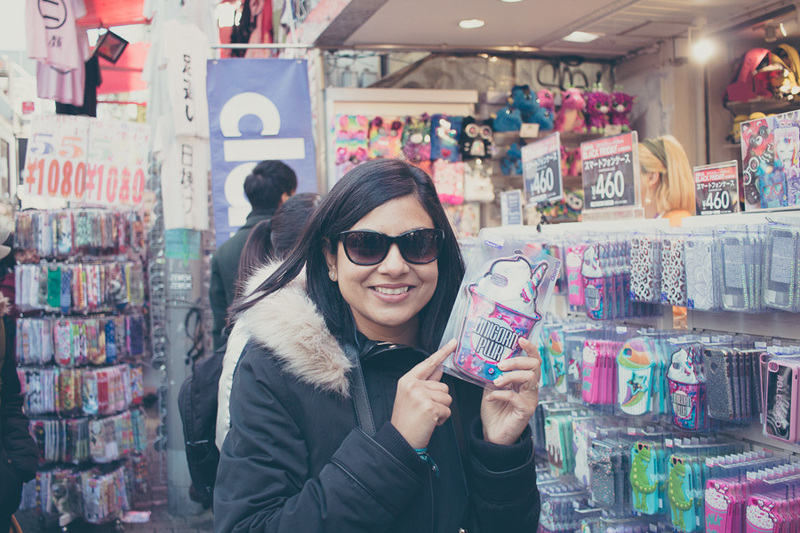 In Tokyo similarly there is a 24 hour metro ticket which is worth buying. It maybe difficult finding elevators in Tokyo Metro as they are sometimes located out of the way and not marked out very well everywhere. 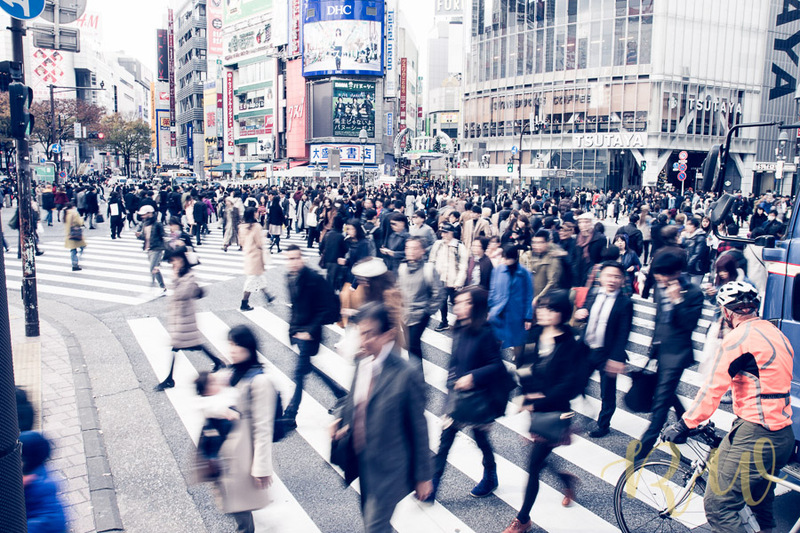 It’s manageable – just takes a bit longer than if one took stairs / escalators. There are no problems at all with long distance travel – in buses or trains. Some trains (like shinkansen) don’t have a separate luggage place in the compartment and luggage may need to be stowed overhead. In such a case, heavy suitcases can a problem. Since we were 4 adults, we would turn around a row of 2 seats to face the other side and that would create a gap between the backs of 2 rows where we would stow 2 suitcases easily. Our kids were happy with rice, chicken, miso soup, milk and bananas. They loved the cakes from the local bakeries. 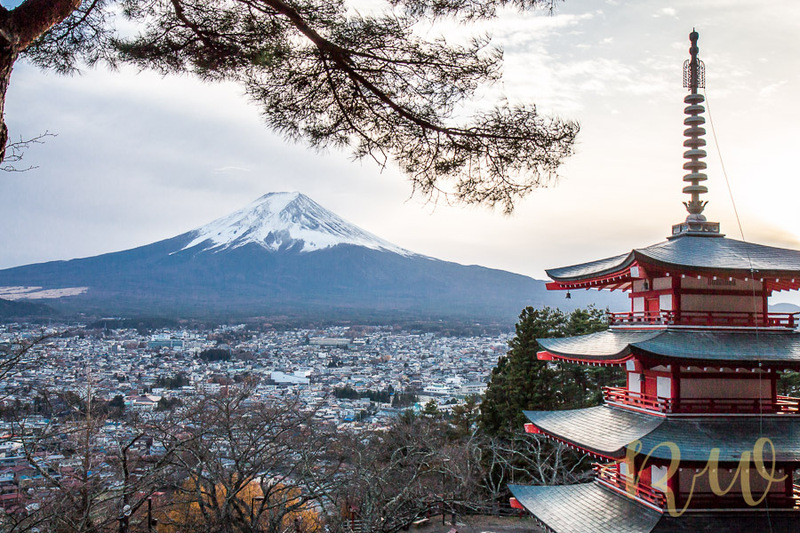 In Tokyo, we dined in an Izakaya only once – these places are great when it comes to get the feel of local dining and excellent food at a relatively cheaper prices! But not very family friendly – tiny spaces with no high chairs; mainly frequented by office crowds for after work dinner and drinks. Finding vegetarian food maybe a challenge although rice, miso soup, some salad are available in all places. Bread, eggs, milk and fruits are available in the convenience stores. 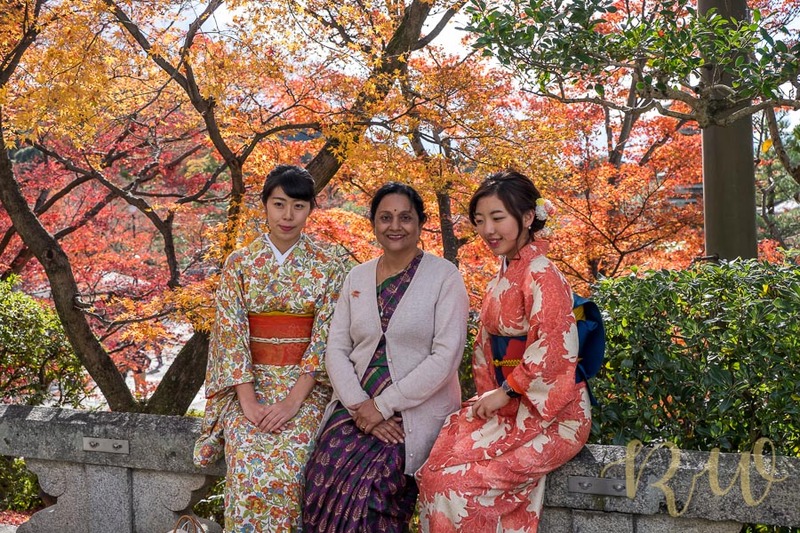 Overall it was a great trip, longing to go back, this time to get the cherry blossoms in full bloom! 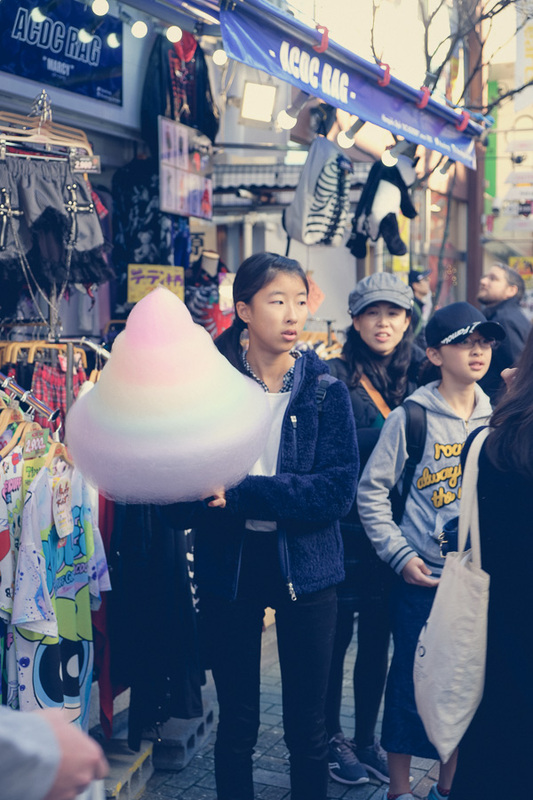 Next Post Giving street photography a shot! Fantastic write up with really helpful tips.